Homemade yogurt that is simple and natural. 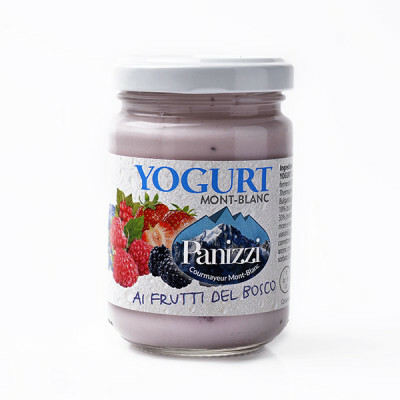 Made with milk of producer's cows in a variety of flavors that make it a must-eat yoghurt for anyone. Panizzi Courmayeur is located in the heart of Mont Blanc, in Aosta Valley, at the foot of the highest mountains in Europe. It's the place where milk has always been transformed into precious, healthy products and which taste and tradition have remained unchanged over time.